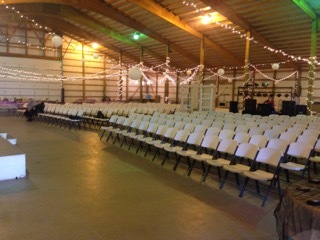 Our spacious barn offers the perfect location for your celebration. 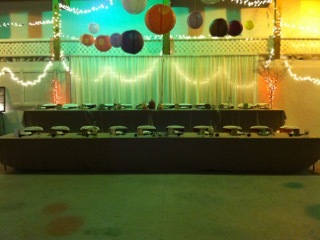 You have the freedom to choose your own caterer, DJ, and other services. With a modern kitchen, restrooms, and private changing room you can enjoy your special event with privacy. 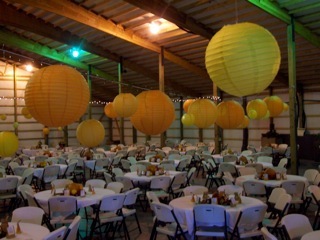 Saturday barn rentals, are allowed the opportunity to decorate from 1-6pm on Friday. Email us for availability and contract. Sorry no impromptu tours please use our inquiry form only. With seating up to 400 people, your guests will enjoy sitting in comfort. You have the freedom to choose your own decorations. Our large stage can fit 16 people on the upper level and offer your guest great visibility.